From a Buy Michigan Now press release…. Livonia, MI (July 9, 2008) – Buy Michigan Now (www.BuyMichiganNow.com), a campaign designed to promote and restore Michigan’s economy, requested and received an official proclamation from Governor Jennifer M. Granholm pronouncing the week of July 27th as Buy Michigan Week across the state. The campaign is now urging businesses, residents, and media throughout the state to celebrate by showcasing and supporting Michigan-based companies and Michigan-made products during that week. In addition, Buy Michigan Now and Downtown Northville are hosting a festival that runs from Monday, July 27th – Sunday. August 2nd. The event will include several seminars, panel discussions, and entertainment, in addition to active participation by local merchants and numerous vendors/exhibitors that will be on hand from around the state. Designed to be Michigan’s premier wine and food experience, this festival will bring together wineries from around the world along with culinary experts of West Michigan. For more information please visit GRWineFestival.com . Sampling tickets will be available at the door and can be redeemed at wine and food booths. *No one under the age of 21 will be permited. If you haven’t been following along all weekend, there have been a lot of posts over the last three days. So you don’t miss anything, I’ve broken down the reviews into the three cities we’ve been to. You can either click on these links or just scroll down. After two long days touring Northern and Western Michigan, we got home and just wanted to relax. We unloaded the car then laid down on the couch and watched Michigan State beat Notre Dame while I blogged about our trip and J took a nap. Not long after the game got over, J woke up and we started talking about dinner. Neither one of us felt like cooking, but we neither of us really had a taste for anything either. We talked about a few places, but one of us wasn’t interested in any of them. 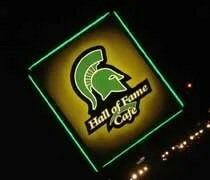 Finally, I said, “What about Hall of Fame Cafe on Lake Lansing?” We thought that may not be a good move since the game just got over, but we hopped in my truck to go give it a shot. Olive Garden, Red Lobster to Raise Prices. Shouldn’t come as much of a surprise to anyone. The Olive Garden and Red Lobster are having to raise prices to stay profitable. 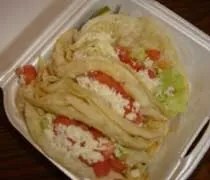 The company said its menu prices at Olive Garden and Red Lobster have typically gone up between 2 percent and 3 percent each year, with price increases usually falling in the middle of that range. But for 2009, Darden said it will have to raise prices by a percentage closer to the high end of that range. Darden said the economy — specifically higher costs for food, energy and labor — is to blame. Most restaurants have been pressed by significantly higher costs in the past year with prices for grain and meat rising to record levels and state and federal governments boosting the minimum wage for workers. I don’t eat at either. My mom looooooves Olive Garden though. It just one of those unfortunate trends. Not even the chains are immune from the higher prices that cause the mom ‘n pop shops to struggle. J and I are making up for not having weekends off together this summer. After spending the afternoon in Ann Arbor last weekend, we’re going to take a mini vacation to Traverse City this weekend, so once again, I’m looking for food suggestions. I’ve got a pretty good list going of places that look good. Any opinions on any of those or anything else that we have to try?